Brave and selflesss, Mo Niang devoted herself to protecting and rescuing her family and fellow villagers at sea. 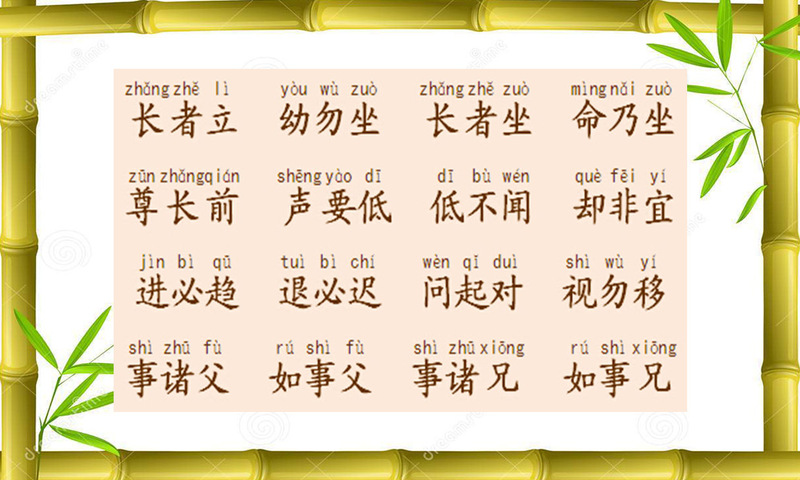 Dizi Gui teaches us to treat everyone like our own family. We should serve our elders as if we are serving our parents, and we should treat our peers as if they are our own siblings. 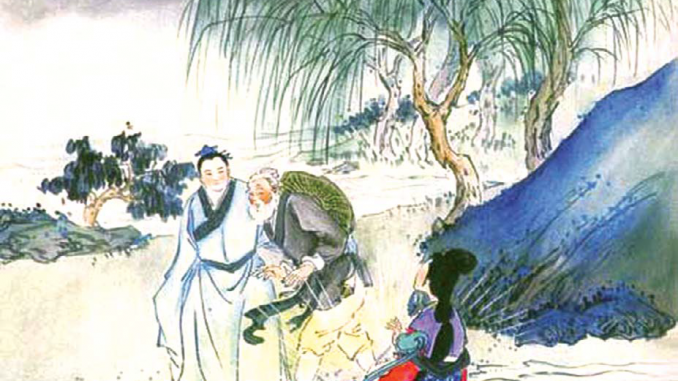 Here are a few touching stories from ancient China, about people who treated strangers like their own family. Du Huan was an official of the Ming dynasty. Du’s father had a good friend, Chang Yungong, who was a subordinate military official. But one day Chang died suddenly, and soon after his family’s business investment failed. His surviving sixty-year-old mother, Mrs Chang, was left penniless and homeless. Through sheer chance, Du bumped into this poor lady. Mrs Chang had lost contact with her younger son for years, and despite seeking out her relatives for assistance, none of them would take her in. So Du decided to support her for the time being, while helping her trace her younger son’s whereabouts. Later, although Du managed to locate and contact Mrs Chang’s son, the son refused to take Mrs Chang under his care. 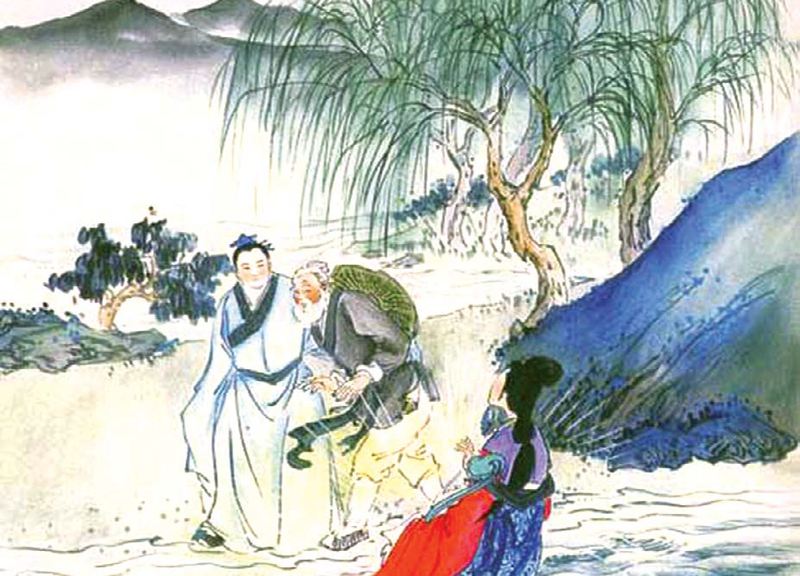 So Du Huan continued to look after the old woman with great filial piety, treating her like his own mother. When she passed away, Du Huan bought a coffin and held a burial funeral for her. Subsequently, he even visited and cleaned her grave every year. There was a woman called Lin Mo, who lived in Fujian Province during the Northern Song Dynasty. According to legend, she never cried from birth till she was one month old. As a result, she was also called Mo Niang (默娘), or Silent Maiden. Mo Niang’s father and brother were fishermen. One day, their ship was wrecked in a terrible disaster. With Mo Niang and everyone else’s effort, her father was saved, but her brother was lost at sea. To prevent this tragedy from happening to others, Mo Niang often risked her life to rescue ships in distress. Once, her fellow villagers were getting ready to go out to sea. Because Mo Niang was able to read signs of impending weather change, she could tell that a huge storm was coming, and she begged the villagers not to go. To Mo Niang’s despair, the villagers persisted in going out to sea, as they had to feed their families. Nevertheless, she asked them to steer their ship in the direction of light, if they met with a storm. We should serve our elders like our own parents, and treat our peers as if they are our own siblings. True to her prediction, a huge, raging storm sprang up, which rendered all the light beacons and navigation markers ineffective. At that moment, Mo Niang bravely lit her house on fire. The huge blaze lit up the sea with brightness, and guided the villagers to land. Due to her great love and compassion, the villagers escaped from being drowned. Mo Niang worked herself to exhaustion to protect those at sea. Sadly, her dedication took its toll, and she died prematurely at 28. In remembrance of Mo Niang, the Chinese people have built temples honouring her along the coastline, and refer to her as the “Goddess of Sea—Mazu” (海神妈祖).